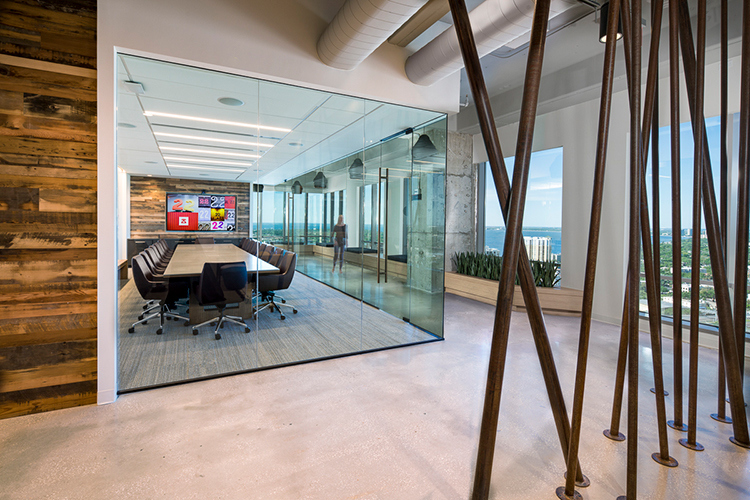 22squared is one of the largest ad agencies in the country with its roots beginning in Tampa. Their culture is very important to them and can be visually seen as a bike hangs in memory of an employee. 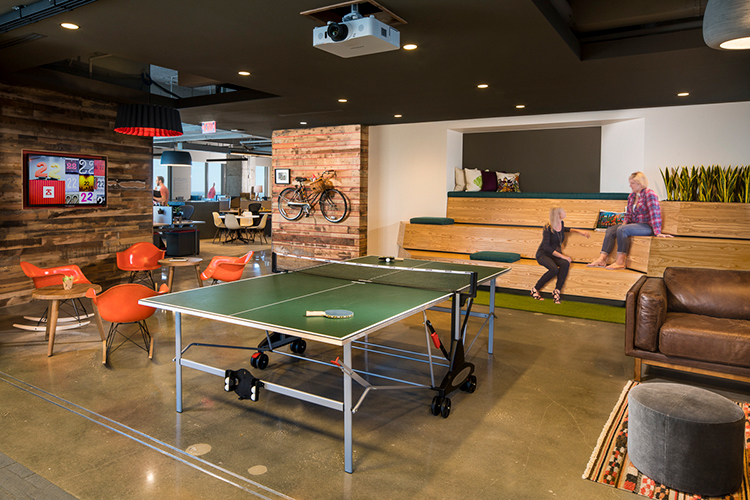 They wanted a new office that would showcase their culture and their city while giving their employees the freedom to choose where and how they work. 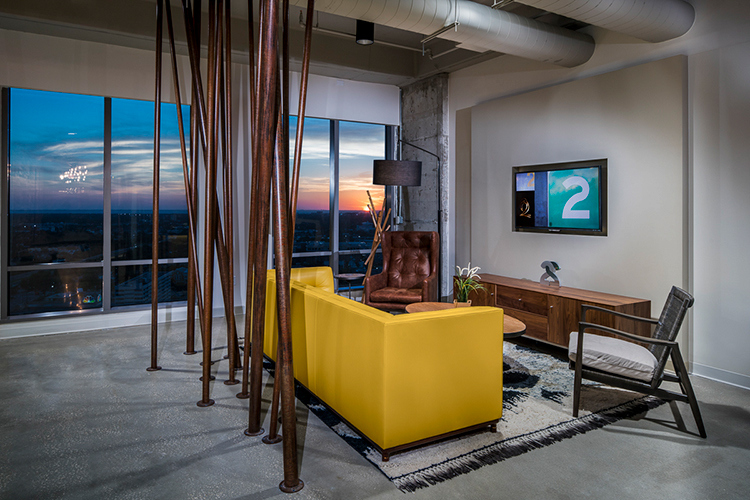 22squared reduced their space needs by moving from two floors to one contributing to an open, collaborative environment. 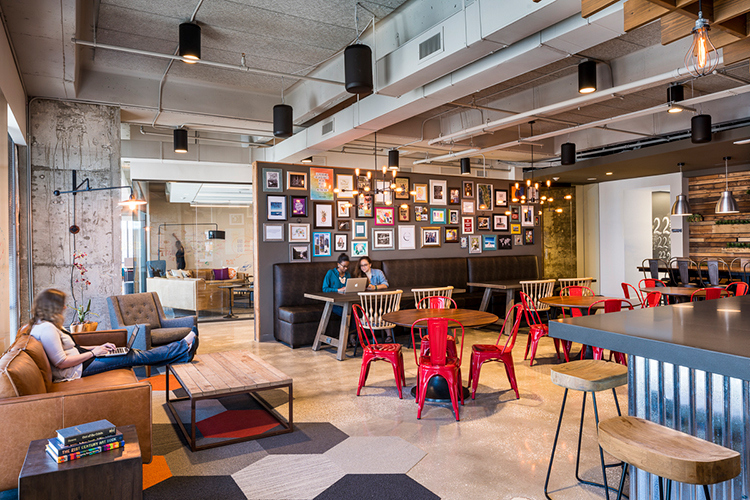 What has been created is a workplace strategy that would replace its outdated, mostly enclosed office space promoting open communication and creativity among their employees while accommodating their anticipated growth. 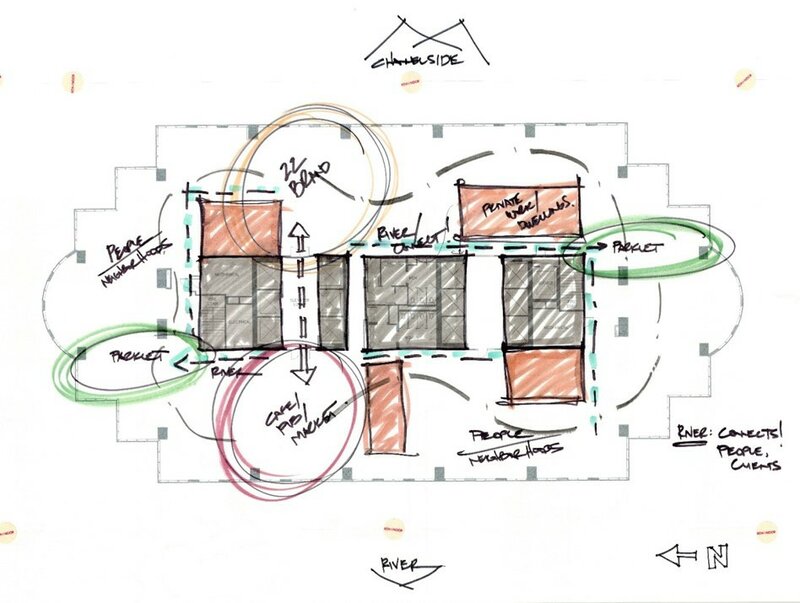 The design included open work space or “neighborhoods” with adjacent window seats along the building perimeter for individual work or team meetings. Additionally, there is a large “Parklet” area where all office meetings as well as smaller meetings can occur. 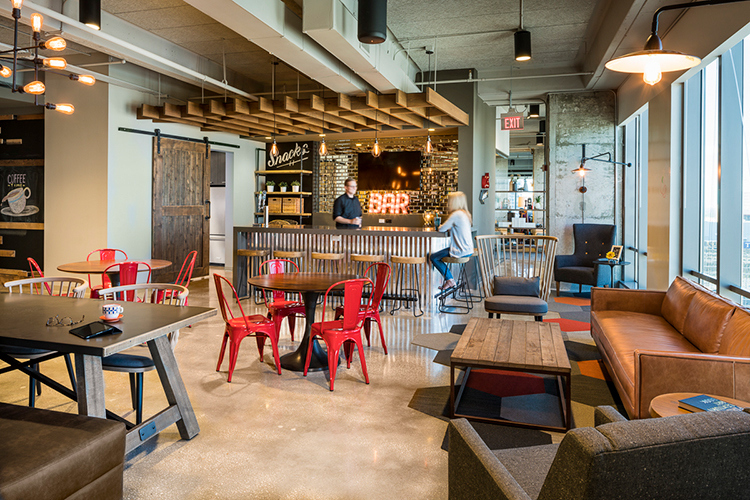 The “22 Market & Pub” is located near the center of the floor which allows staff to eat, drink, socialize and work while showcasing the 22squared culture. 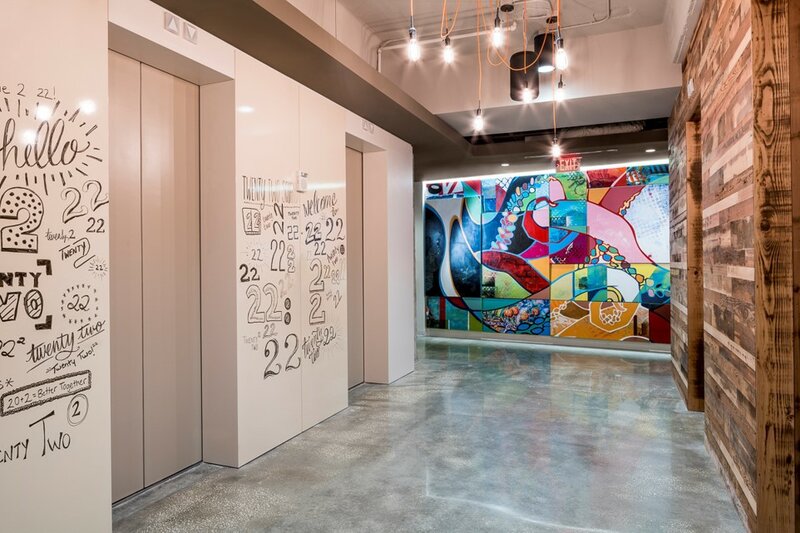 Throughout the office, just as they see along the riverbank, 22squared can make their mark on almost every wall. This space merges the 22culture and the culture of their city, bringing what they were going to see everyday, inside. 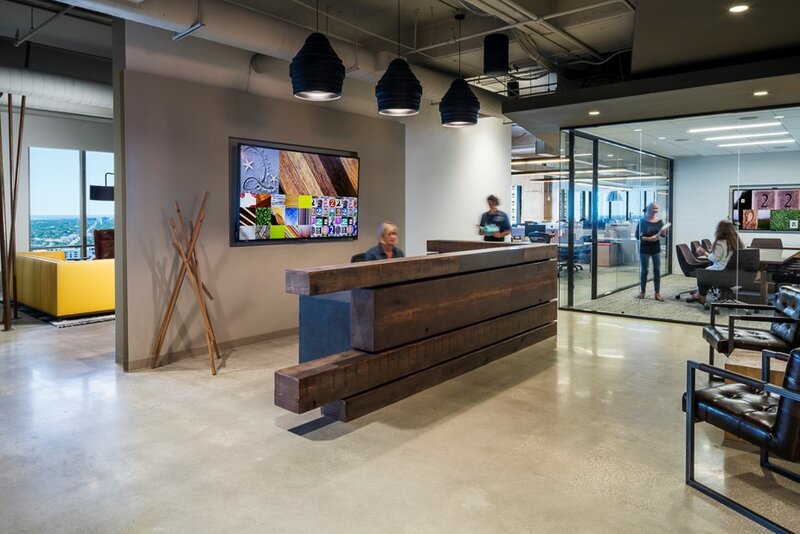 The architects use of materials through various textures allow for this blending of cultures as seen through a steel cypress grove, reclaimed wood walls, exposed concrete floors and numerous variations of finished metals. Furniture also played a large role in the design. A mix between playfulness and permanence was needed. There had to be some pieces that defined a space while others could create one. Now in their own space, the neighborhoods of 22squared are immerging.